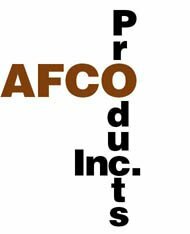 Welcome To AFCO Products Inc. Established in 1962, AFCO Products Inc. continues to provide quality thru-wall flashings to the masonry industry. Outstanding customer service, expert technical assistance, and reliable manufacturing techniques enable AFCO Products Inc. to provide your concealed flashing requirements. Copyright © 2000, AFCO Products Inc.© All Rights Reserved. Designed and maintained by Draac.Com©.